Root Canal Treatment removes dead and infected material from the canals that run along the roots of the teeth. This treatment is used to stop the pain of toothache and dental abscesses. Dr Cohen works using high powered magnification to ensure the best results. This treatment enables you to keep teeth that might otherwise be lost. Endodontists are dentists who have had at least two years of advanced speciality training in root canal therapy techniques, and are registered on the speciality lists of the General Dental Council. Because they limit their practices to endodontics, they treat difficult root canal problems every day. They are able to use their specialist training and experience in treating difficult cases, such as teeth with narrow or blocked canals, or unusual anatomy. Here at The Malt House Dr Cohen uses state of the art technology, such as operating microscopes, ultrasonics and digital x-rays in order to carry out all our specialist services. Endodontic, or root canal therapy, removes infected or damaged tissue from inside a tooth. This tissue, called the pulp, contains nerves and blood vessels that help nourish the tooth. After the pulp is removed, the pulp chamber and root canals are cleaned, sterilised, filled and sealed. The tooth remains alive, nourished by the adjacent tissues of the gums and jaw. What are the benefits of Endodontic Therapy? Endodontic therapy saves teeth that would otherwise be extracted. There is no real substitute for your own tooth, which is more efficient in chewing and biting than an artificial one. What causes the problem with Teeth which need Endodontic Therapy? The most common cause of pulp damage is severe decay or a fracture that exposes the pulp to bacteria that may cause infection. Other causes of pulp damage include traumatic injury, such as a blow to a tooth, a cracked or loose filling or repeated fillings in a tooth and occasionally periodontal, or gum disease. In the majority of cases endodontic therapy is completed in one visit. However, in certain clinical conditions, it may be necessary to delay completion of the treatment to a second or subsequent visit. Extraction is the only alternative, and unless the tooth is replaced, adjoining teeth will shift, resulting in changes in the bite and unsightly gaps between the teeth. Loss of a tooth can lead to periodontal disease and loss of additional teeth. Replacing a tooth with an artificial one often requires dental procedures on adjacent healthy teeth. What should you expect Following Endodontic Therapy? The root canal system inside the tooth will have been thoroughly cleaned, and the irritated tissue and bacteria that caused the tooth to need root canal treatment will be gone. It is normal to feel some tenderness in the area around the tooth over the few days following treatment as the body undergoes the natural healing process. You may also feel some tenderness in the jaw from keeping it open for an extended period of time. These symptoms are temporary and usually respond very well to the painkillers you normally take for a headache. Your tooth may continue to feel slightly different from your other teeth for some time after endodontic therapy has been completed. What should you do after Endodontic Therapy? Root canal treatment is only one step in returning the tooth to full function. A proper final restoration of the tooth is extremely important in ensuring long-term success. You will need to see your own dentist within 2- 3 weeks after treatment to have the tooth completely restored. This may involve a filling, a crown, a bridge, an inlay etc. What is the likely prognosis for an Endodontically Treated Tooth? A tooth that has had appropriate endodontic therapy followed by a proper restoration can last as long as other natural teeth. However, you need to maintain good oral hygiene, including brushing, flossing, regular check-ups and cleaning. We, or your dentist, may periodically x-ray the tooth to ensure that healing has occurred. Occasionally, a tooth that has undergone endodontic treatment does not heal, or pain continues. At times, the tooth may become painful or diseased months or even years after successful treatment. Often when this occurs repeating the endodontic therapy can save the tooth. Is there any guarantee that the treatment will work? Unfortunately, when dealing with nature, there is no guarantee that any treatment will work. However, research has shown that when root canal treatment is completed by a specialist endodontist, the success rate is probably in excess of 95%. David and his team expect to achieve at least that result in teeth that have not previously had root canal. 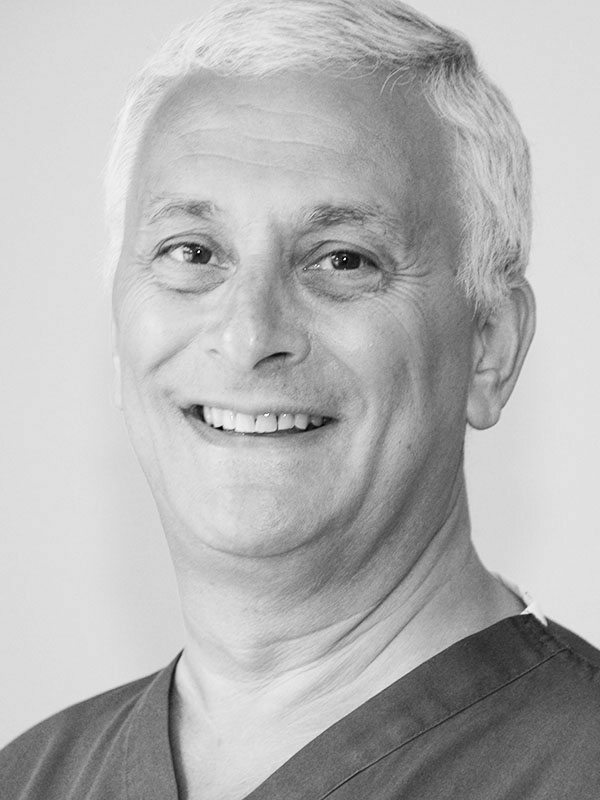 David is a Specialist Endodontist, and for over 25 years has been helping general dental practitioners solve their endodontic problems. In that time he has treated something over 20,000 teeth!